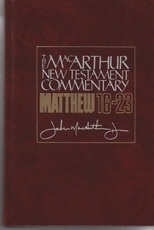 "Join John MacArthur as he explains each verse in a way that is both doctrinally precise and intensely practical . . . Each volume was written to be as comprehensive and accurate as possible, dealing thoroughly with every key phrase and word in the Scripture without being unnecessarily technical."